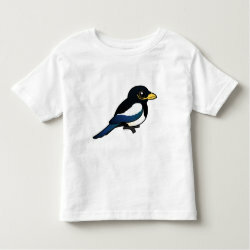 The Yellow-billed Magpie, part of the crow family, is virtually identical to the more common Black-billed Magpie. 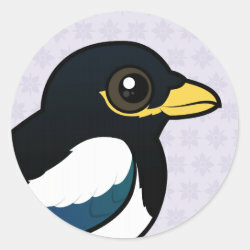 It has a yellow bill and a yellow streak below the eye. 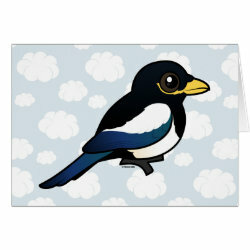 The Yellow-billed Magpie lives only in California. 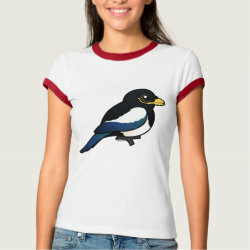 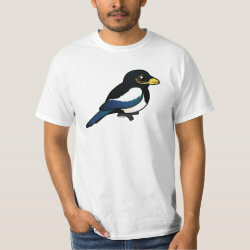 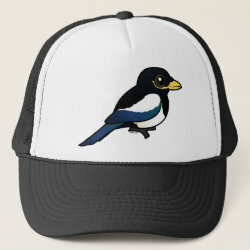 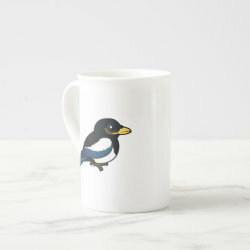 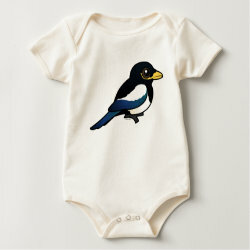 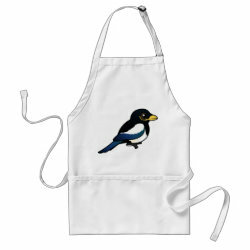 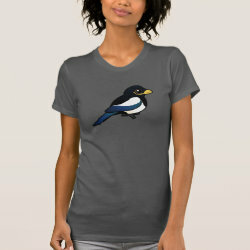 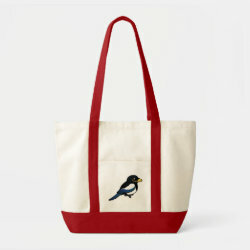 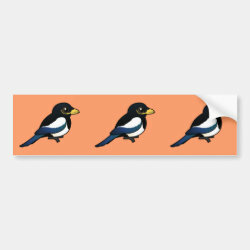 This is our Birdorable, totally cute version of this already cutie-pie Magpie. 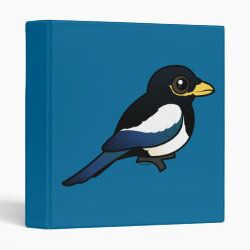 Yellow-billed Magpie Avery Signature Binder 8.5x11"